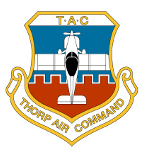 Supporting Owners, Builders and Pilots of the Thorp T-18 and its variants. I'm re-doing the panel on N8786, removing 1970s dead weight avionics, my T18 docs are 500 miles away, so need some help. What station is the panel in the Thorp? I can't find a w&b spreadsheet in the forums altho it's mentioned a time or two, if someone could point me there it would help. The panels are all over the place based on who built them. The top of the dash 603 aft side is 62.6479. Thanks guys, next step is exchanging 77" prop for Sterba 74"